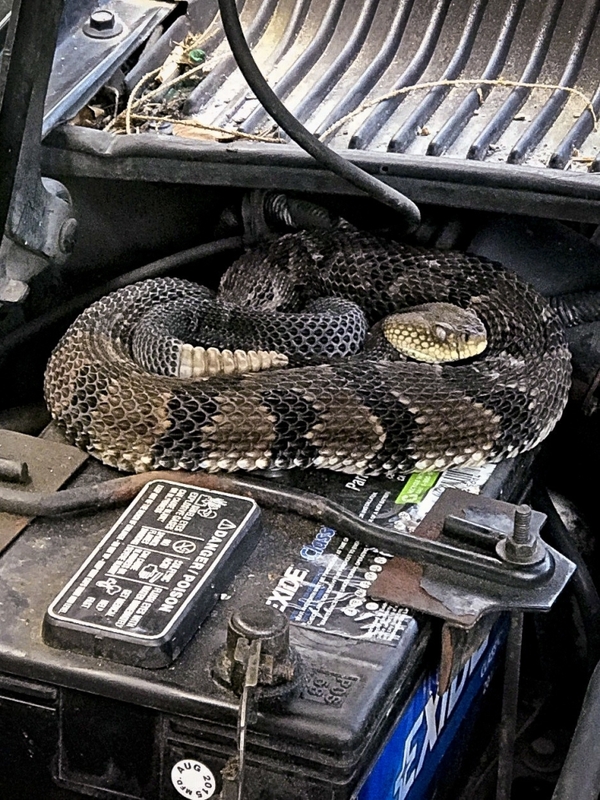 An upstate New York man trying to jump-start his car was greeted by an unusual sound coming from his engine — the rattle of a venomous timber rattlesnake. The man says the snake slithered across the engine block and curled up on the battery as he opened the hood of the car earlier this month in rural Hancock, on the Pennsylvania border about 115 miles northwest of New York City. State environmental conservation police officers were called out to remove the reptile. Lt. Nate Ver Hague untangled the snake’s tail from the engine as Officer Mark Vencak carefully pulled it from the vehicle.